My experience with Dark Souls 2 has been, at many moments, a very frustrating one. As someone who enjoys challenging games and enjoys climbing leaderboards, Dark Souls 2 should be right up my alley, right? But when Ron Duwell and I reviewed it together, we were less than thrilled with some elements of the final product. I still stand by my review score, but I've put a bunch more time into the game since my review, and I've learned some things. The game might seem incredibly daunting at first, but there's fun to be had – the game just makes you work hard to find it. I described it to a friend like this: There's this great park, full of candy and backrubs, but you have to climb over a mountain of broken glass to get to it. Unless someone who knows tells you about the side door they don't advertise. This guide isn't meant to tell you, for example, how to beat the Flexile Sentry or how to find every secret door in the Lost Bastille. It's meant to help you get over the hump I had so much trouble with, so that you can enjoy Dark Souls 2 without all the initial misery. The best strategy for Dark Souls is to have a friend to discuss it with. Whether they're vastly more experienced or just starting out like you, it'll make a difference. This game might have the aesthetics and mechanics of a modern title, but it has the sensibilities of a much older game. 25 years ago, we might've been in the schoolyard, talking about how Nintendo Power says to kneel by a particular wall until a whirlwind sweeps you away. We might not have a schoolyard anymore (and maybe if you do still, you're too young for Dark Souls), but hushed discussions of discoveries and secrets are so integral to Dark Souls and its sequel that they should be a bullet point on the box. To leave this out of the experience is to miss out on a major part of it, unless you're one of those proud few who can defeat a game like this on their own. If you don't have a friend who likes the game as much as you do, then you might want to go for the next best thing. 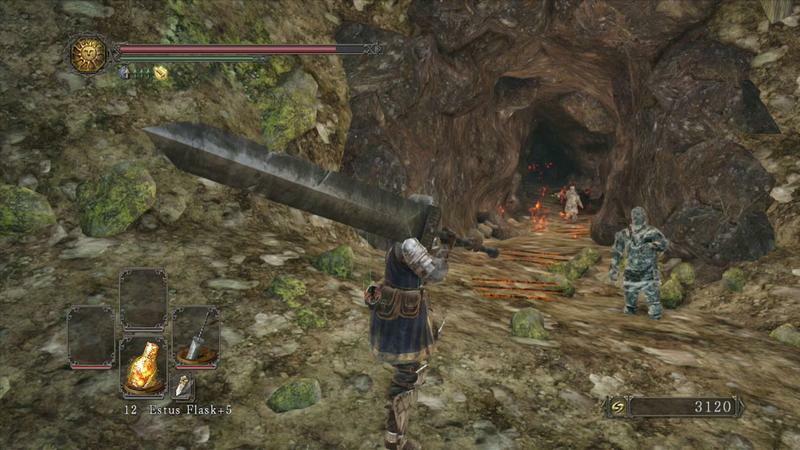 The Dark Souls series – Demons' Souls included – is the dictionary definition of a cult hit. There are tons of places online to engage the community and start up discussions. The most obvious starting point is the Subreddit for the game, but the various Wikis are worth a look, too. The Wikidot site is endorsed by the aforementioned subreddit, while the Wiki on Fextralife.com is presented with a bit more visual flair. Both have good information. Dark Souls is, well, a dark place. 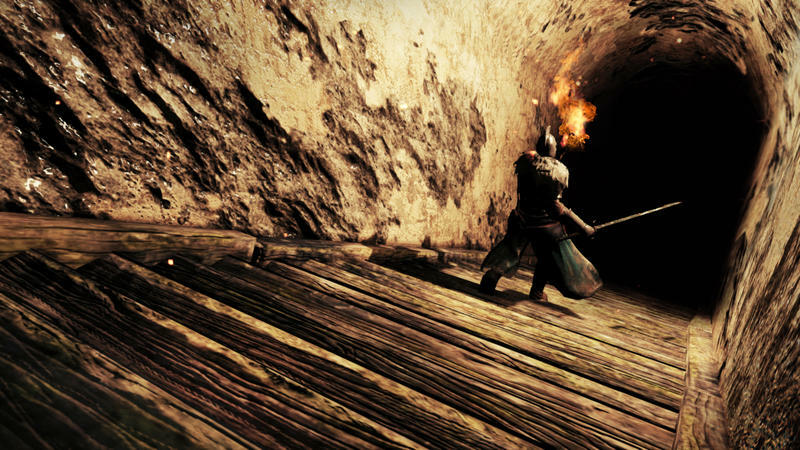 While Dark Souls 2 isn't quite the twisted maze that Dark Souls was, it's easy to walk right by something like, say, a bonfire, four or five times and not even realize it. Stop anywhere you can and look around. Look up and down. Find a far or high point and look around. Look down sheer cliffs to find ledges you can jump onto. Read signs that other players leave, too. They can lead you to secrets and not-so-secrets alike that might otherwise be easily missed. Let's get into the actual game, though. If you're anything like me, you generally don't like multiplayer games. Sure, there might be occasional exceptions such as Titanfall or something like that, but Dark Souls looks like a single player game at first, despite the blood stains and notes on the ground. If you have the skills and patience, you can definitely finish Dark Souls alone, but I wouldn't recommend it. The game is brutally difficult as you know, and there are major mechanical hurdles in place that make going it alone significantly more difficult. The problem – and this is one of my main issues with the game – is that the game doesn't tell you any of this. Human effigies meant to restore your Humanity are severely limited. Monsters only respawn so many times, making the number of souls seem like it's pretty severely limited if you stick exclusively to single player. More experienced Dark Souls players will disagree with me on that, but it's rough going to start. Once you get the White Sign Soapstone, though, this opens up a whole new world. Instead of dying to a boss over and over to learn its patterns and strategies, throw down your sign outside the entrance. Players of a similar level will see your sign and can summon you into their world to take on the boss together. If you beat the boss, you're rewarded massively. You get thousands of souls to spend on levels and items, your weapons are fully repaired, and those precious Estus Flasks are refilled. Better yet, your Humanity, and thusly your lifebar, is refilled to the max, essentially negating that Human Effigy limit that seems so frustrating in the earlier sections of the game. Better yet, dying has no real negative consequences. You don't lose any souls you've accumulated even if you die right away. Getting the item takes a bit of work, but it doesn't require that you beat any bosses. First you'll have to get to the Cardinal Tower Bonfire, shown above. From there, climb down the ladder. You'll avoid/defeat a few soldiers (or die in a quick, humiliating way a few times), climb a long, fallen tree trunk, and run along a long walkway. If you're feeling lucky, you can try to just run past all the soldiers here. Turn right, head down the ladder, and straight for the guy sitting on the bench. His name is Pate (Fun fact: He's voiced by actor Peter Serafinowicz, a great comedic actor and a huge Dark Souls fan). There are two ways to get the White Sign Soapstone. You'll go through the gate next to Pate and it'll drop behind you, locking you in. If you're patient and skilled, you can fight your way out back to Pate and talk to him a couple times, at which point he'll give you the soapstone. You don't even need to make your way out, though. If you die, you'll appear back at the bonfire as usual. Then you can head back to Pate and he'll give you the stone anyway. Apparently, he counts dying as escaping his trap. Good on him. The Fire Longsword is easy to miss, but it you can get it within the first hour and without fighting any bosses. It gives you a great advantage over enemies. If you're brave enough to fight the Heide Knight you met a bit earlier and have the dexterity required to wield the sword he drops, that one is pretty close to this one in power. Better yet, grab both! A back-up weapon is a necessity. The Fire Longsword can be found from the same Cardinal Tower Bonfire as the White Sign Soapstone. Instead of going down the ladder, exit through the door and approach the edge of the walkway. You'll see a platform you can drop down. Drop down carefully and kill the enemies there, then climb down the long ladder to the ground. Once you're on the ground, there will be plenty of soldiers to deal with, so try to take them on one at a time. Once you clear the area, there are two tunnels. One of them is on fire, and that's the one you're going to go into. It sounds like a worse idea than it actually is. Be careful, though – once you go in, two more enemies will drop down to ambush you, so don't go in too far yet. After you take care of them, there's a door on your left a little further into the tunnel. Beware of the salamander at the end of the tunnel (you don't have to fight him and he can't get to you) and open the door between fireballs. The sword will be in a chest in here. I have a love-hate relationship with this particular item. It's easy to get, it has a clear advantage, and you'll likely have it equipped for the rest of the game. It significantly increases stamina regeneration, something every class of character will find useful. But it puts this annoying green haze around your character in case you forget that you're wearing an item. To get it, go the same way you went to get the White Sign Soapstone, but instead of walking down to where Pate is, turn right at the busted open hole in the wall. Be careful though – there's an enemy soldier manning a ballista in there, so stick your neck out and then back off real fast. This is a bit tough because there are four guys in there, but if you pull them along for a bit, you can usually fight them one at a time. Once they're dead, head in, find the ladder down, and put the Lockstone into the creepy face on the wall. Go over to the spot on the wall that lights up and hit it with your sword to reveal a secret room that'll net you the ring and a Titanite Slab you won't be able to use until way later. As a side note, there's also a locked door in this room. If you hit it with your sword, a soldier will come out for you to put down, allowing you to pick up a couple more handy items. The Ring of Binding makes defeat significantly less crushing. Once again, it takes some work to get to, but it's worth the time. It basically limits how much life you can lose from dying over and over. If you're having trouble, this item can be a real boon. The item is located in Heide's Tower of Flame. You're going to have to get past a bunch of big guys, but the important thing to remember is that they're slow, you're small, and you've got nothing to lose. This video shows the path to the ring from the first bonfire. You only have to kill one guy. This is actually two videos edited together because I died halfway through the first attempt. I don't need to hide how bad I am. This is especially important if you play Dark Souls with friends, but it's a good idea anyway. There are tons of ways to play Dark Souls, and sticking with one character can be detrimental to your enjoyment of the game. Have a couple characters at different experience levels and use different builds. You can experience different strategies, discover different weaknesses for enemies, and you might end up somewhere you missed with another character. This is also, though, a potential solution to one of my biggest problems with Dark Souls 2, something that even seasoned players tend to agree with: for a game that gets as much of a boost as Dark Souls 2 does from multiplayer, it's really hard to get hooked up with your friends. You have to buy this item called the Name Engraved Ring, select the same name on the ring, and then coordinate offline – an Xbox Live party shifts you into Offline mode – to figure out where to put down your summon signs. On top of that, though, if your characters are too far apart in Level or Soul Memory, you and your friend won't be able to hook up in game. While hard numbers are tough to nail down, the going understanding is that you should be within 10 levels of the other character, and that your Soul Memory should be within about 25 percent of theirs. You might think about even having a character meant to be played only with that friend to ensure one of you doesn't outpace the other. 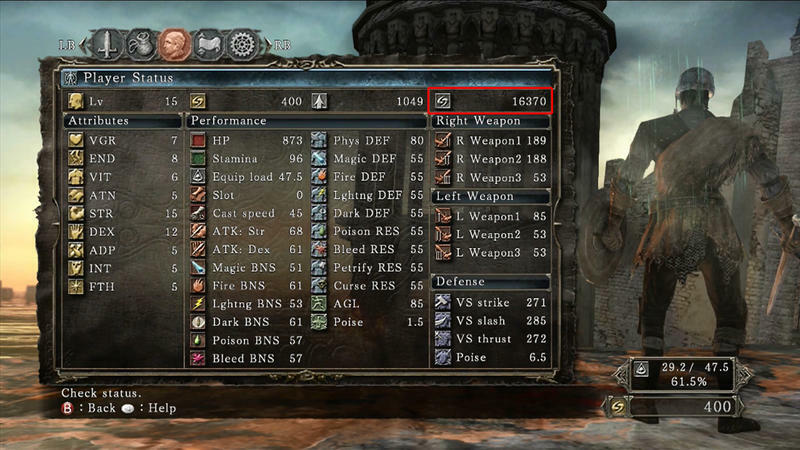 With this advice and a few good items, I hope you can get into Dark Souls 2 faster than I did. While the game provides some high, seemingly insurmountable hurdles, there is fun to be had and it's worth pursuing. Don't give up hope. Break through that illusory wall and praise the sun.